Build a culture that you want for your organization. Encourage and appreciate your employees. 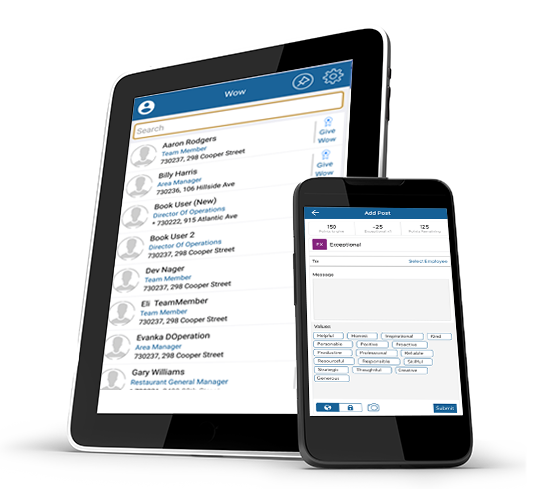 Display employee appreciation with restaurant management software. Build the supportive culture that you want for your organization. 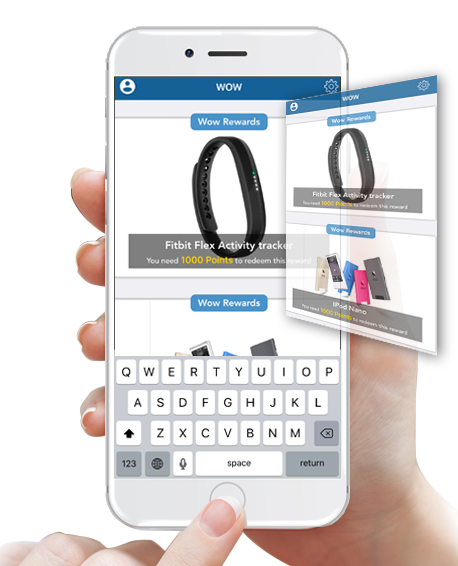 Create WOW posts with a personalized message and assign points appropriate for the task. Keep them motivated with rewards and tasteful public praise. Cultivate the culture you want by providing tangible rewards for employees that exhibit excellence. Reward them with appreciative gifts based on the points they earn on the restaurant management app. 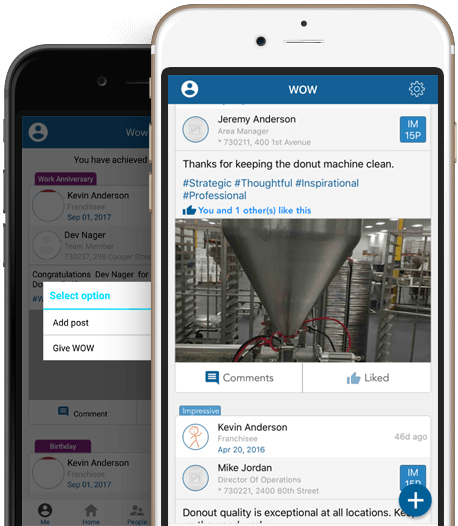 Select any employee from your organization and grant WOWs. A word of appreciation goes a long way in developing a productive employee. 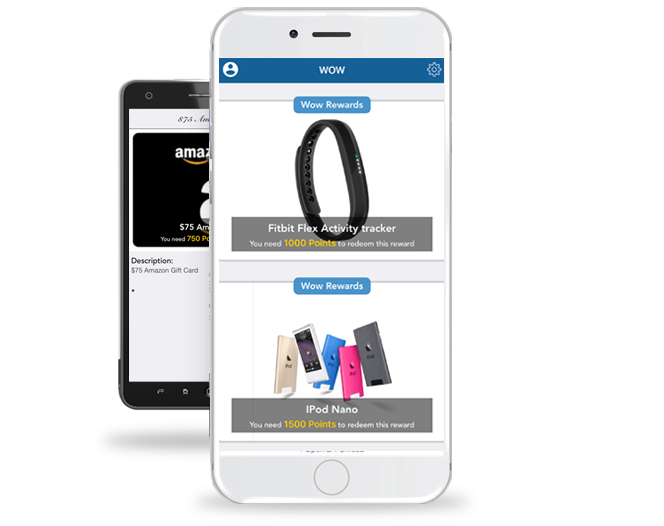 The employee can browse the rewards and the availability for your organization at leisure. Promote companionship and hard work with clear motivations.